Professional Carpet Cleaner in Boulder,CO 80301, How To Clean Dog Urine From Carpet. How To Clean Dog Urine From Carpet. From The Humane Society. Find more great articles for your home at Cleancare. First, You need to find which areas are soiled, and then re-train your pet to avoid eliminating in those areas. To do that, you'll have to clean those areas, and clean them well. 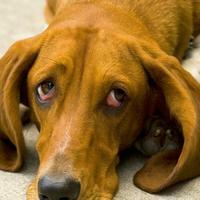 But first, watch this hidden camera video of what some dogs do when their owners aren't around. · Use your nose and eyes to find soiled areas. You might want to use a black light, which you can purchase at a home supply store. A black light will usually show even old urine stains. Turn out all of the lights in the room; use the black light to identify soiled areas, and lightly outline the areas with chalk. · Clean the soiled areas to remove the odors. Visit your veterinarian to rule out medical causes for the behavior. Make the "accident zone" unattractive and/or unavailable to your pet and the appropriate "bathroom" area attractive as a way to retrain your pet. Then use positive reinforcement techniques to show him the appropriate place to eliminate. To do this successfully, follow our recommendations for retraining your pet. To be successful, you need to follow all of these steps. If you fail to completely clean the area, your re-training efforts will be useless. · Soak up as much of the urine as possible with a combination of newspaper and paper towels. The more fresh urine you can remove before it dries, especially from carpet, the easier it will be to remove the odor. Place a thick layer of paper towels on the wet spot, and cover that with a thick layer of newspaper. If possible, put newspaper under the soiled area as well. Stand on this padding for about a minute. Remove the padding, and repeat the process until the area is barely damp. · If possible, put the fresh, urine-soaked paper towel in the area where it belongs—your cat's litter box or your dog's designated outdoor "bathroom area." This will help remind your pet that eliminating isn't a "bad" behavior as long as it's done in the right place. · Rinse the "accident zone" thoroughly with clean, cool water. After rinsing, remove as much of the water as possible by blotting or by using a wet vac. Consider renting an extractor or wet vac to remove all traces of heavy stains in carpeting (get one from a local hardware store). This machine works much like a vacuum cleaner and is efficient and economical. Extracting/wet vac machines do the best job of forcing clean water through your carpet and then forcing the dirty water back out. When you use these machines or cleaners, carefully follow the instructions. Don't use any chemicals with these machines; they work much better with plain water. · Use a high-quality pet odor neutralizer once the area is really clean (available at pet supply stores). Be sure to read and follow the cleaner's directions for use, including testing the cleaner on a small, hidden portion of fabric first to be sure it doesn't stain. · Your job will be more difficult if urine has soaked down into the padding underneath your carpet. In some cases, you may need to take the drastic step of removing and replacing that portion of the carpet and padding. But, don't fret if your efforts seem less than satifactory. Qualified professionals can assist you for less than you might think.